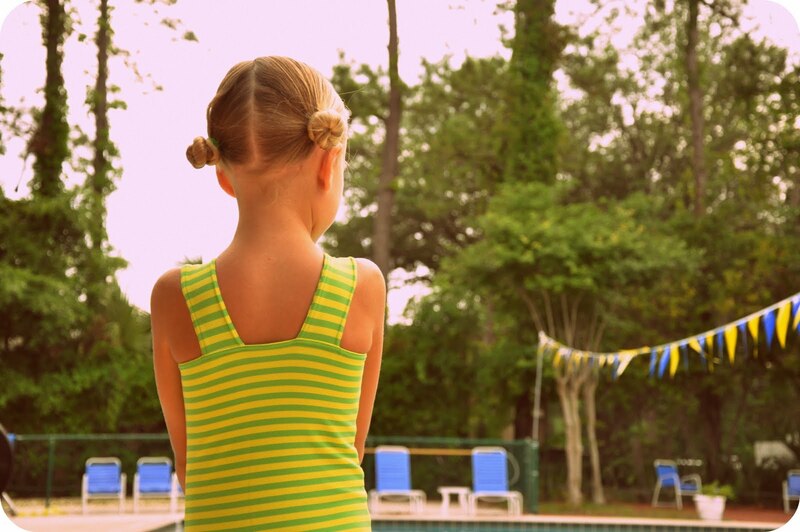 I'm sad swim lessons are over. It went all too fast for me, sitting poolside with my crushed ice and reading material. Sigh. My little Dills are learning the ways of the water quite nicely, however, and making their mama and papa proud. There's no shortage of need for swimsuits, though. We still have the rest of the summer full of pools and sand and ocean, making the swimsuits work hard to earn their keep around here. I decided to line Olive's swimsuit and I am so pleased with the sturdiness it provides. Swimsuit lining can be found in the "Dance/Costume" section of your fabric store and you a little goes a long way, so it's completely worth it. I took one of Olive's old swimsuits that almost fit and cut it out a bit bigger. The bottom front piece is slightly shorter than the back piece by about an inch. 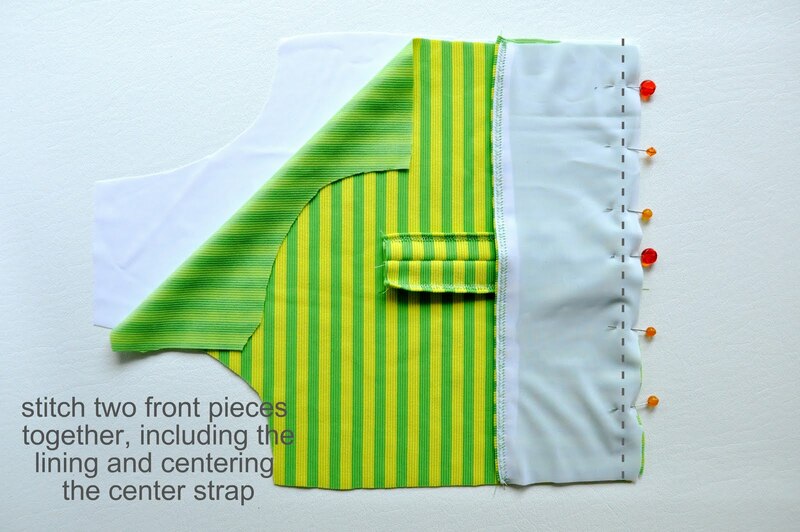 You'll need to cut lining out of all of the above pieces except for the front center strap and shoulder straps. I didn't take measurements, just kind of eyeballed it, judging by the size of her previous swimsuit. Start by sewing the top front piece to the lining, right sides together with a slight zig zag stitch. Stitch the front center strap in half, creating a tub and turn right side out. 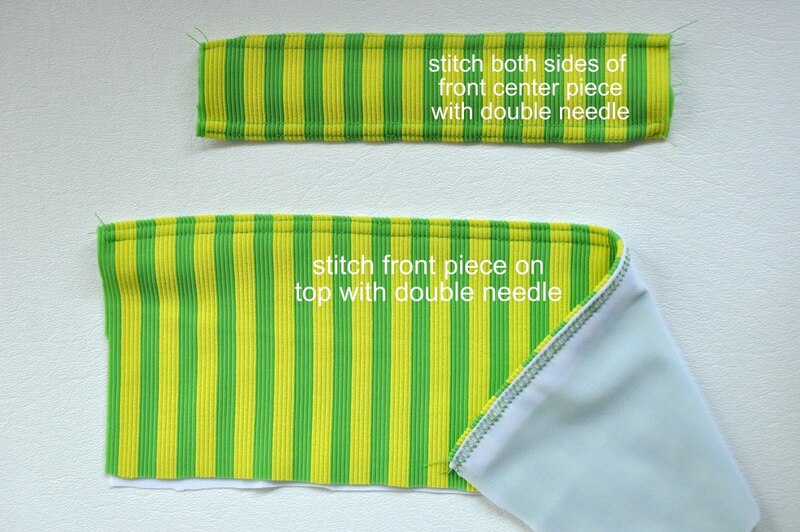 Next, thread a double needle and stitch the top of the top front piece and both sides of the top front strap. Not sure what a double needle is and what it does? I knew you'd ask. 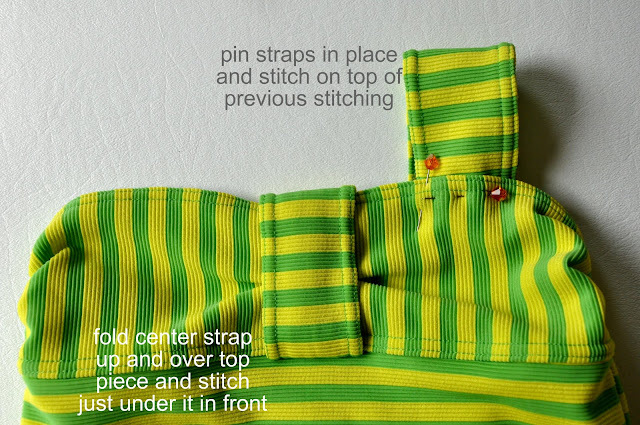 Last month Chris over at Pickup Some Creativity asked if I would share a sewing tip as a part of her Sewing 101 series. I've put together little tutorial on how to use a double needle that you can hop over and see if you're not sure how to use one! 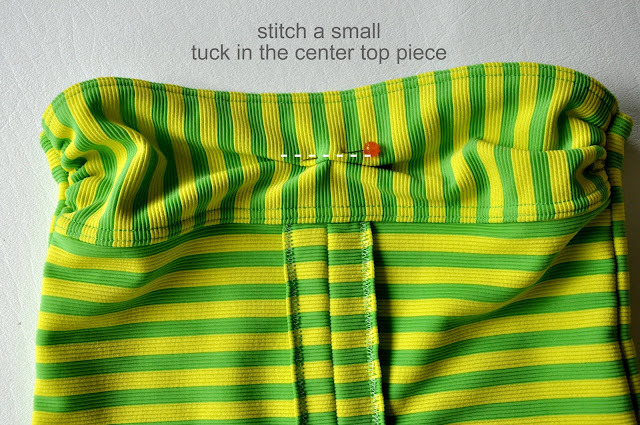 She has a collection of other posts from bloggers sharing their Sewing 101 tips that are helpful if you're new to sewing, and fun to browse through regardless of your sewing experience. 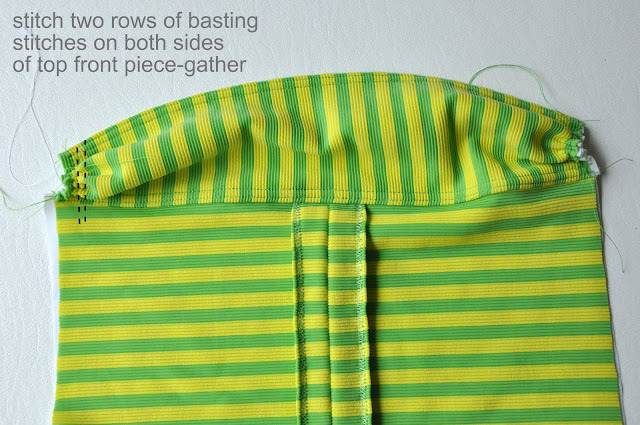 Now attach the front top piece with the front bottom piece with a slight zig zag stitch, pinning the center strap...in the center! 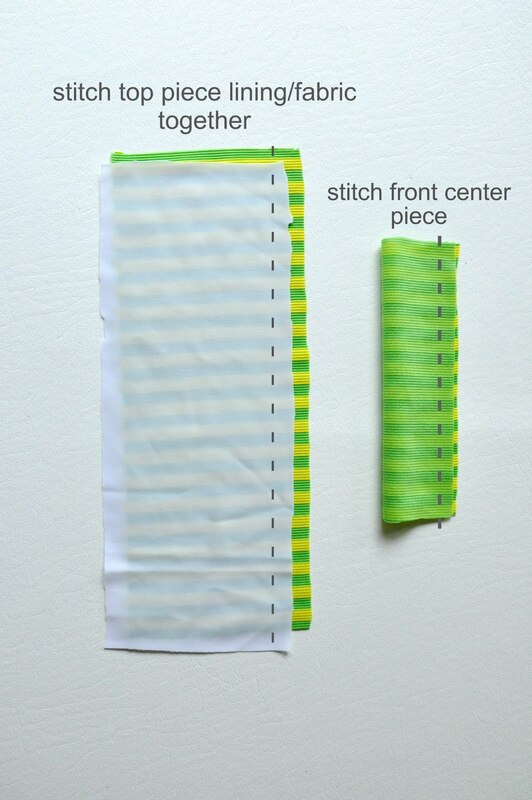 Make sure you have included the lining of the front bottom piece as well. 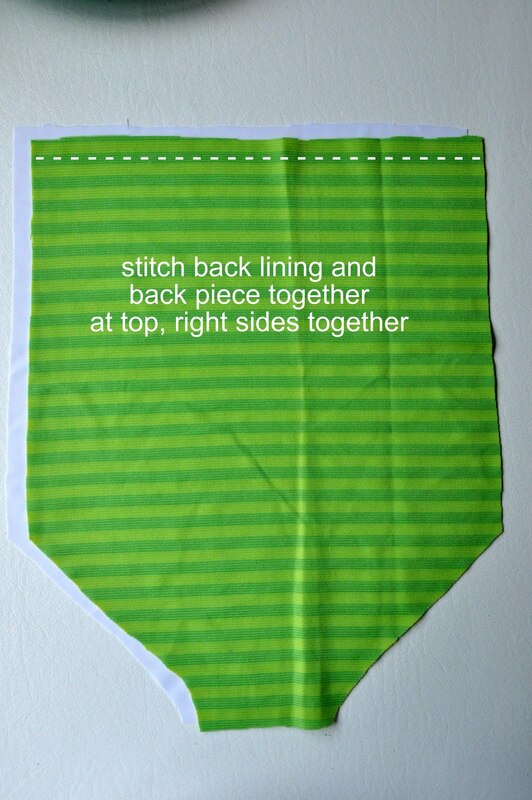 Stitch lining and back piece, right sides together with a slight zig zag stitch. Turn right sides out and topstitch with your double needle along the top. I cut my strap in one piece and assembled it before I cut it in half to use on the swimsuit. It was about 5" wide, 2" wide finished. Going back to the front of the swimsuit, stitch to rows [do not use your double needle for this] of basting stitches on the top front and gather. Sew side and crotch seams with a slight zig zag stitch to retain fabric stretch. 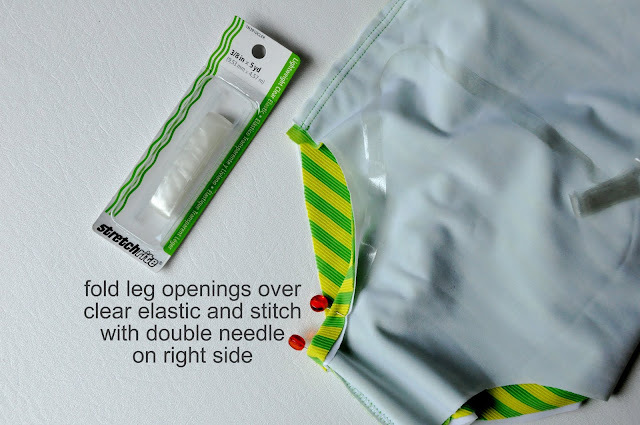 For added strength, I use clear elastic found in the notions section, around the leg holes. Fold openings over elastic and use the double needle to stitch in place on the right side of the fabric. 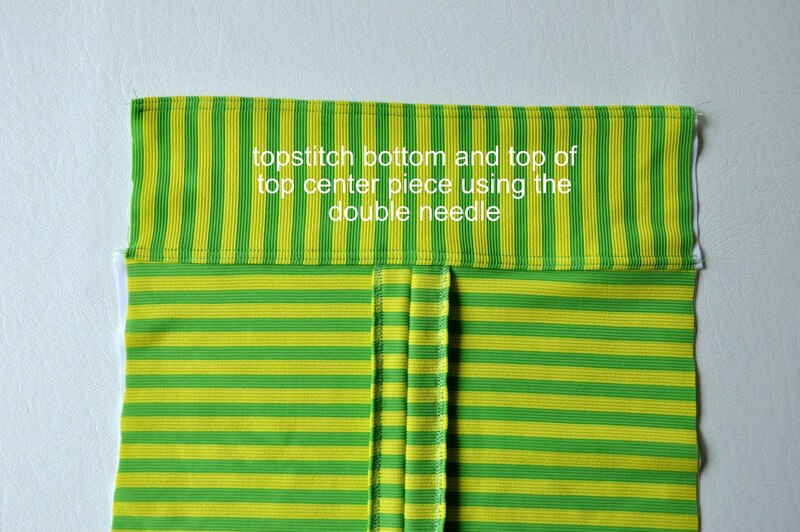 Take a small tuck in the center of the top center piece and stitch straight across, making sure you catch the lining in the tuck as well. Adjust straps on your child and pin in place, stitching over the double needle stitches to blend. 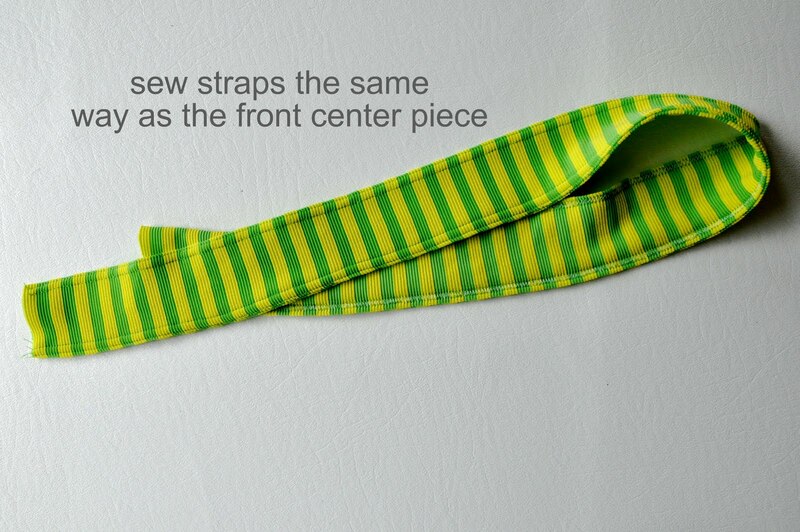 Fold the center strap over top front piece and stitch on the front, just under the strap. And if you're wondering how I was so fortunate as to have not a single soul in the background of my photo, you can thank the child [none of mine] who threw up in the pool moments before we got there. Nice. 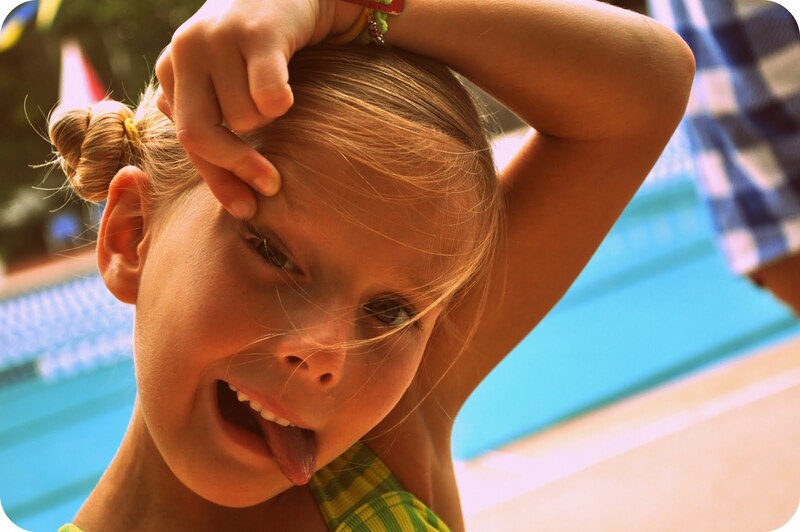 We had time to play photo shoot while the pool was being sanitized. And of course, to practice our froggie swimming. My mom says she keeps forgetting I'm pregnant, so I thought I'd remind her that, yes, I am still baking this baby dill, grandchild number 15 of hers and dreaming of holding him/her in my arms ;). Edit: So, I'm sorry and sad to say that the fabric was purchased many years ago on the $1 table. Not designer fabric and not expensive fabric. 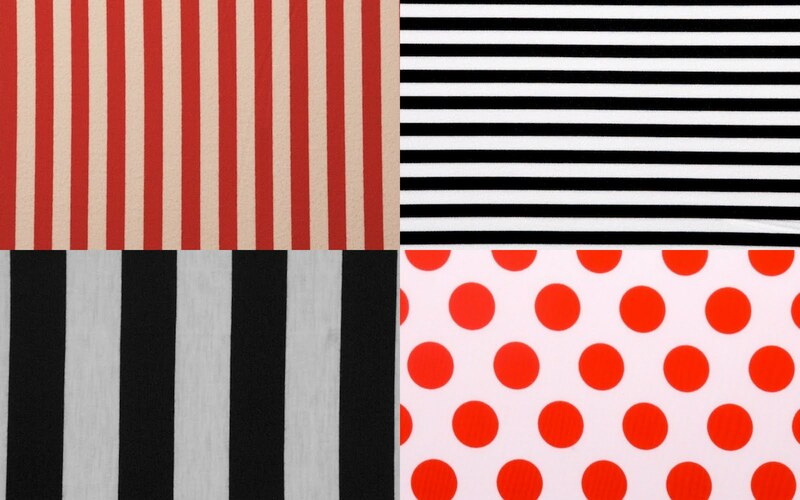 I agree that there are far more hideous prints out there than something simple like stripes. Maddening. If you know of a good source, leave it in the comments. I would recommend using a solid fabric with a contrasting solid fabric for the edge or straps or other detail. 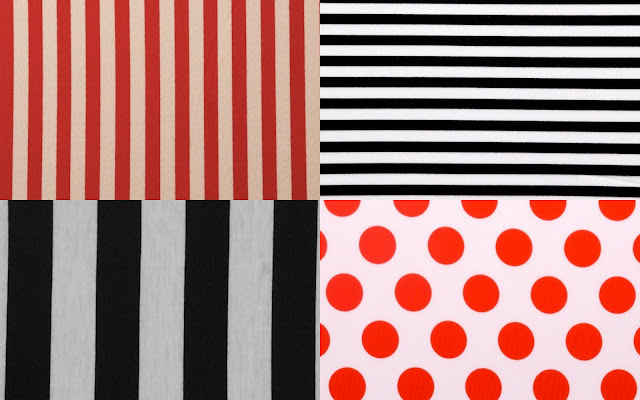 Solid swimwear fabric is very easy to find and much more enjoyable to look at than awful florals and animal prints. Thank you Elizabeth! Let's all make new swimsuits! Hooray! wow! what a fantastic job on the suit! and what a beautiful model for it! I love reading your pages..your darling girls and all the excitement of the new little person! and clearly I am not the only one as I see you have 1938 followers! Happy day to you! Wow! You ARE pregnant. So glad. I am determined to make my littlie a swimsuit...but I can only find hideous metallics and neon prints or solids, even online. None of which I want. And secondly--do you pull the elastic in the legs as you are sewing or leave it loose? Thank you so much for another swimsuit tutorial/post! I just went to get fabric to make myself a suit; and I love the simplicity (but little extra bits of pizazz) of the suits you make for your girls. You make me believe that I can actually make a swimming suit not just for my daughter but for me as well. A-MAZE-ING! I love the limey-green fabric is wonderful. 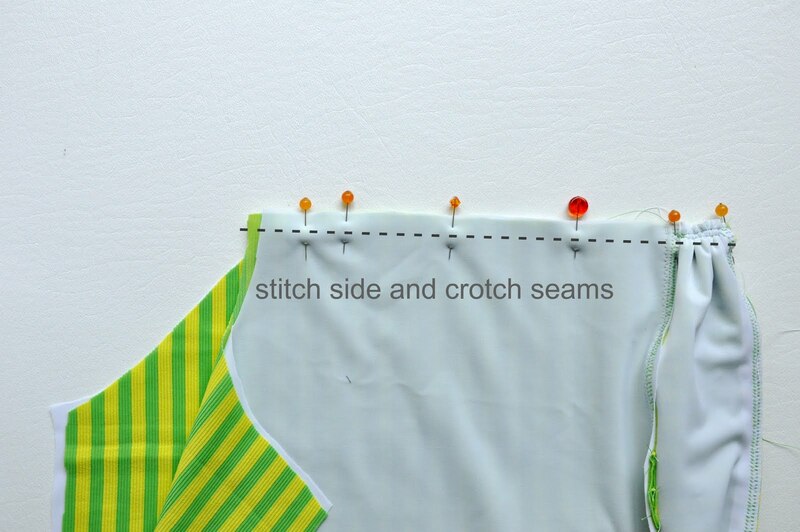 I appreciate your Sewing 101 contribution so much. Happy Swimming to the Baby Dills. Katy, Thanks for the needle info. I am really going to try this. And I am also interested in where you get the fabric and elastic. Thanks! Oh, and I love your daughter's face in the last photo. My 4 year old always wants to make a funny face when I take her picture. We do a nice one for me and a crazy one for her. Love this suit!!! Do you make + sizes??? Adorable per usual. Love the straps. Elizabeth--You DO NOT pull/stretch the fabric or elastic when sewing the leg holes with the clear elastic in it. Doing so may distort the opening. SImply stitch it with the elastic under the fold with the double needle (on the right side). marvelous! just what I was looking for! Thanks for the info Katy!!!! Sorry to comment again, but I found a source!!!! Yippeee. Thanks, Elizabeth! That's a great source! Wow! I'm truly impressed! I don't know that I'll venture to try this, but you make it look incredibly doable. Thanks! 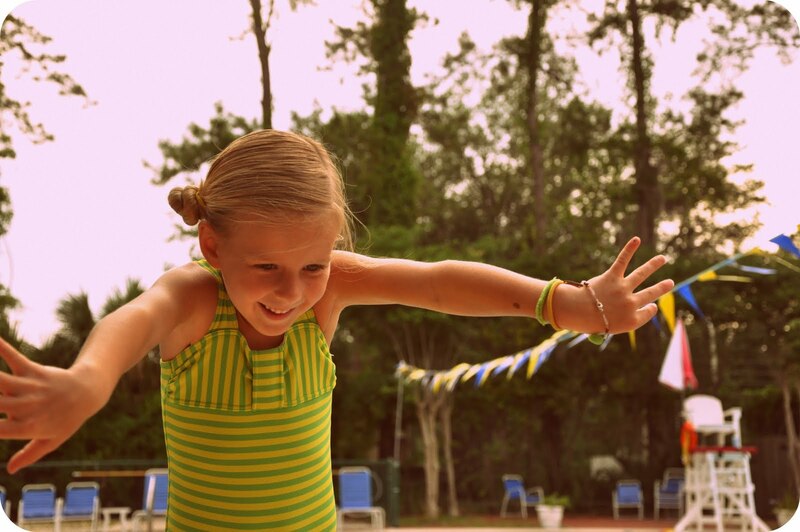 Chez Ami has some cute, nice quality swim fabric for kids at great prices. I've also bought from fabric.com before. 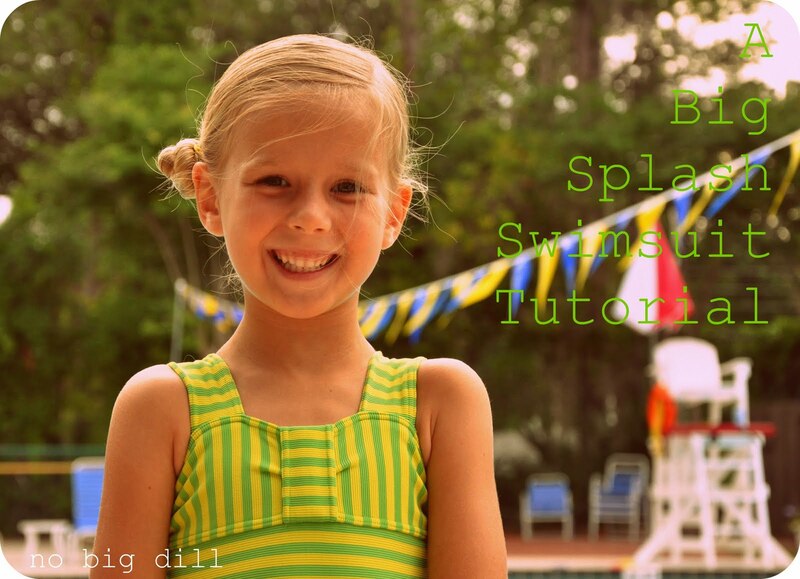 Olive is bound to swim faster and float better in that cute suit! This little suit is too cute, I love the style, fun yet refined at the same time! Soo much better than a lot of the chintzy commercial stuff in stores. Other than crafts, I've always sewn from patterns, I am so impressed at your skills of just eyeballing it and getting a fabulous result. Hope your little girls loves swimming in it! And yes, spandex world is my favorite stop for swimsuit stuff. Hey, where do you get your swimsuit elastic. Dumb question, I know but they never have it live/in-person at our fabric shop. saw your swimsuit over at the long thread. 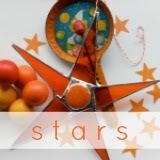 have i finally found someone who sews and dabbles in photography like myself? can't wait to read all your sewing posts. i've only read a few and LOVE them all. that is a really cute suit for a precious girl! Thank you for a cute swimsuit for girls that is so much more modest than most of the ones in the store! I haven't made a swimsuit since 1963. Fabrics and styles have changed a lot! I'm looking forward to making this one in different colors for my 2 youngest granddaughters!